As a young person, Fritz Bösch tried to supplement his parents' income by means of part-time work. Shortage of money was a never ending discussion. He promised himself that he would never again live like that. The constant concern over the lack of money served as his motivation to do things differently. In 1959, Bösch and a friend founded Hügi & Bösch, a company that focused on fineblanking. After Hügi's withdrawal, Feintool was established in Lyss in 1962. 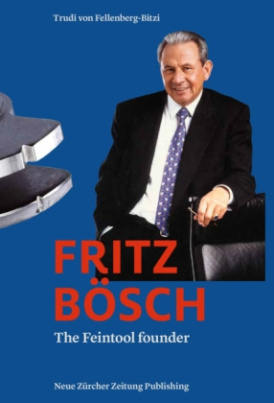 Bösch had a vision which he pursued with commitment and dedication. His reward was success, and Feintool developed into an international enterprise. Despite all of the success, Bösch remains a modest man. In the truest sense of the word, he is a humanist, ready to provide support and help wherever it is nee.